It is a nice colour and I do feel guilty painting over it.. my daughter was again complaining last ngiht that i had bought green paint and not red mica to do the rest of the car. I also have P20SPD to thank for a lot of help with sorting under the bonnet. have to come up with inginuous ways to set light to the stubble now it is illegal to just light it..
accidently caught light off the hot exhaust officer! I hadn't realised this was your car! JGM thats a really neat way of mounting the induction on a top entry turbo.Very nice. have you still got the air con? P20SPD worked his magic again eh. I tohught it made the pipework easier for the hot side of the turbo with the air filter there and nice supply of cold air in through the scoop.. I intend shielding the underside from engine heat.. monitoring temps to see if it is worth doing. presumably you could put the aircon back on now Simon? pmsl.. if I remove the ps pump which is looking like an option anyway..
but no, I have no intension of refitting the power zapping cooling system. 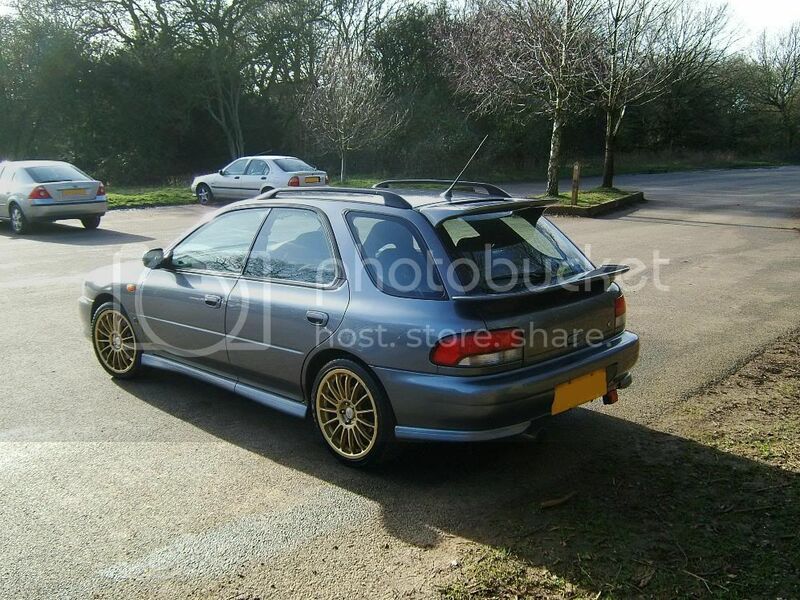 Just very wary myself....Its my daily driver..
And I want my clutch/gearbox to cope too..
not PACE.. not up to the job imho.. Mine is daily driver in the winter.. I take it the Pace isnt physically large enough? 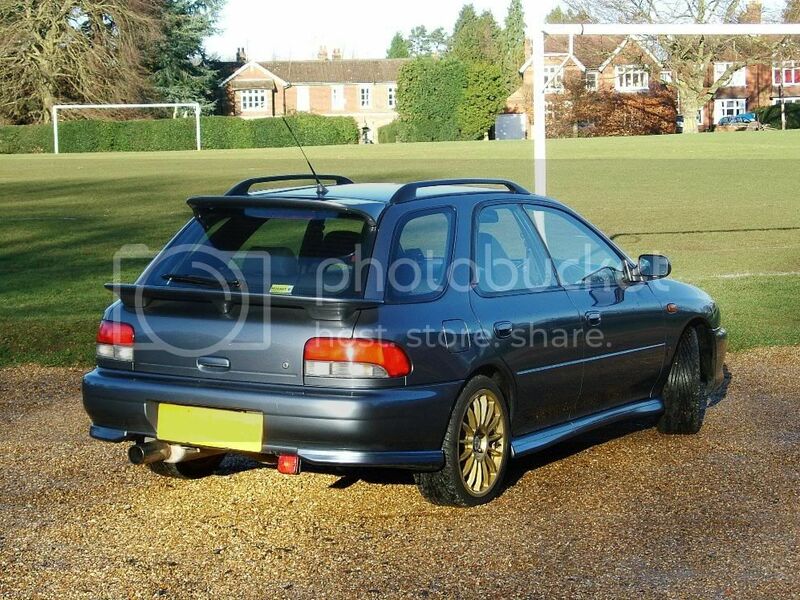 I`d want to keep my air con you see..
I`m not ultimately after mega power.... over 300 bhp would be plenty. Oh and I replaced the clutch with an ADL one about 2 months ago...I dont want to replace that again soon. You can keep air con with Hybrid, APS, HKS.. I am still running standard rate Borg and Beck clutch. See how it feels then.. I`ll post the dyno sheet up too. I wonder if P20SPD will fit the front mount for me???? *****, Eastgate motorsport is the phrase friends have used to describe myself and David Wallis working on cars, we use my dads farm. Would be willing to fit anything to the car for you. Dave is Leeds way.. where are you based? 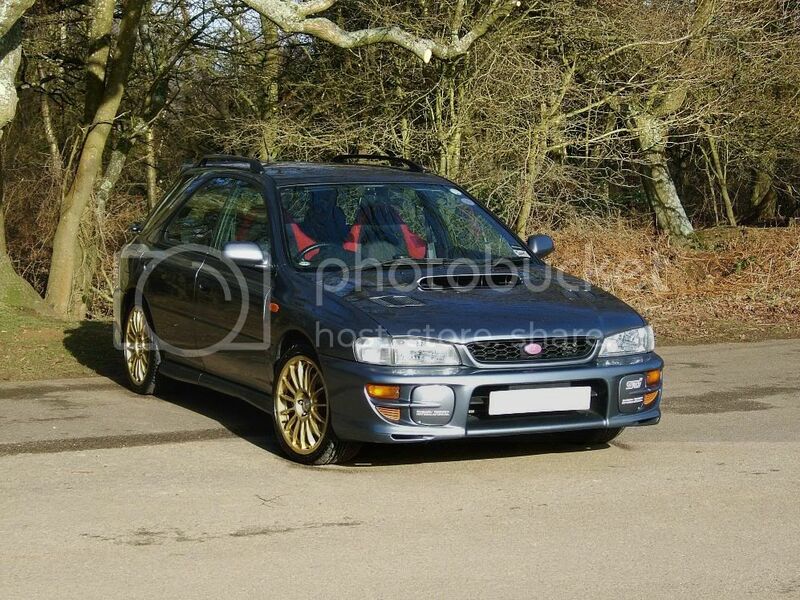 Some good pics there of your clutch replacement, could of done with looking at them a month or two ago when I was changing mine. I thought that I had missed a bolt or two as the diagram I was working from showed more bolts that there was on the car! I thought I must have missed some as I couldn't get it separated from the engine, but it just needed more persuasion! I do like the red mica, nearly bought a red one but every panel was a different colour and it was going rusty (first scoob I have seen with rust on it)! 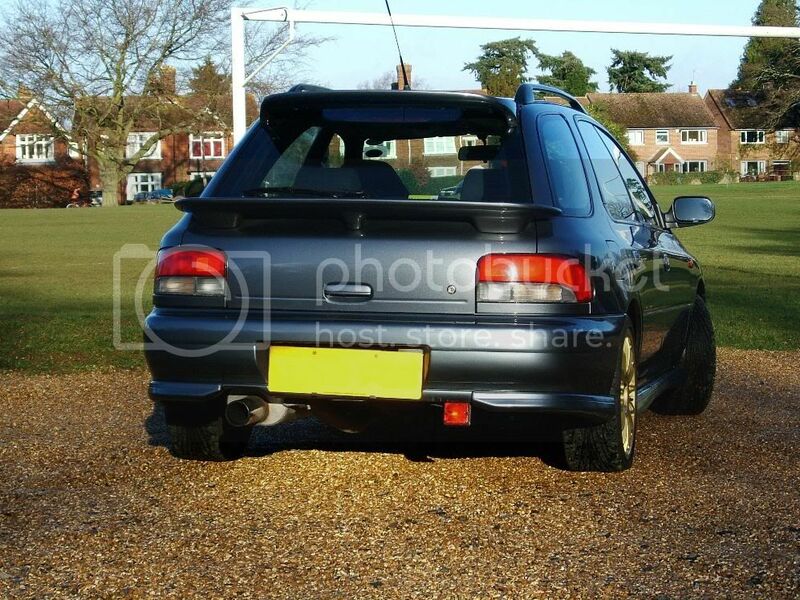 (link to group buy for WRX Classic wagon rear spolers)! 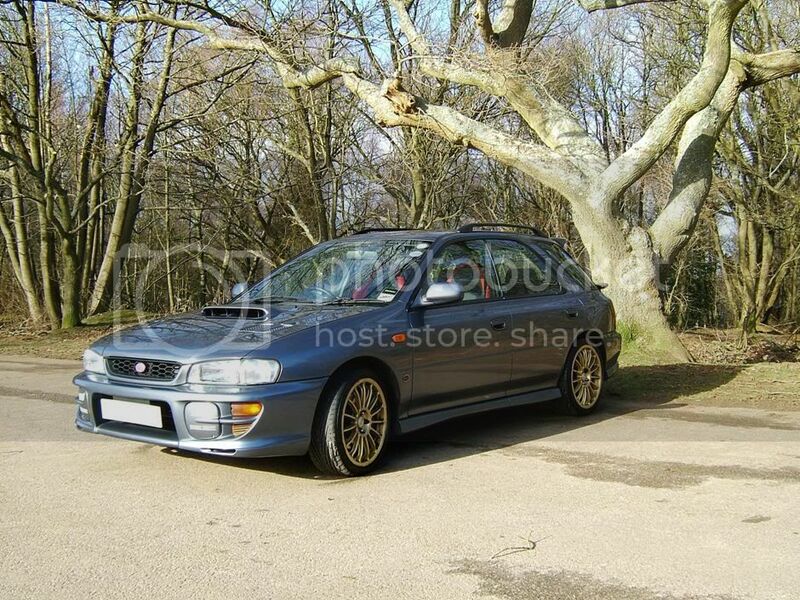 hellu, i have a 2001 sti v7 wagon, in premium silver, with a full TSL 333 conversion,all of the usual sti spec. 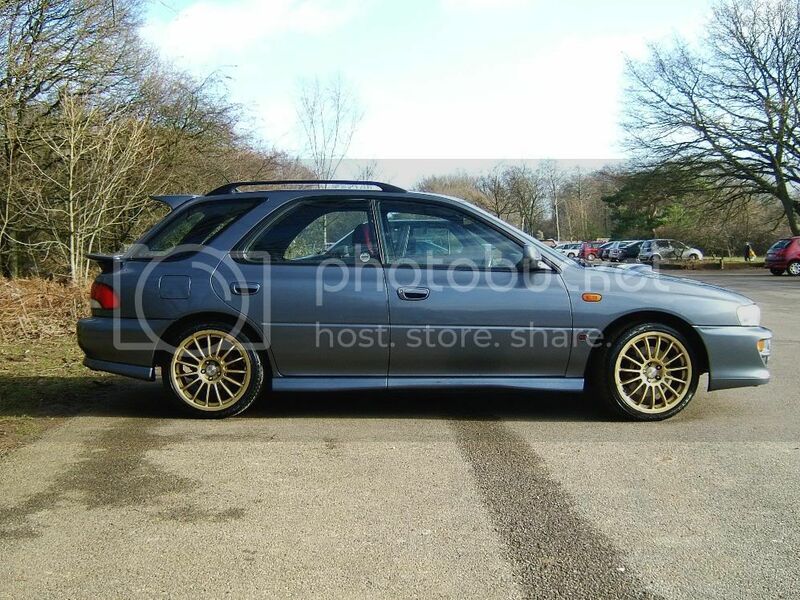 it also has 19" rsgt alloys and toyos,rear tints as it is jap spec (obviously) sti hid head lights,i/c spray manual and auto, 6 speed box, blue alcantara, as i said all of the usual spec. it looks awsome, and goes as god intended. 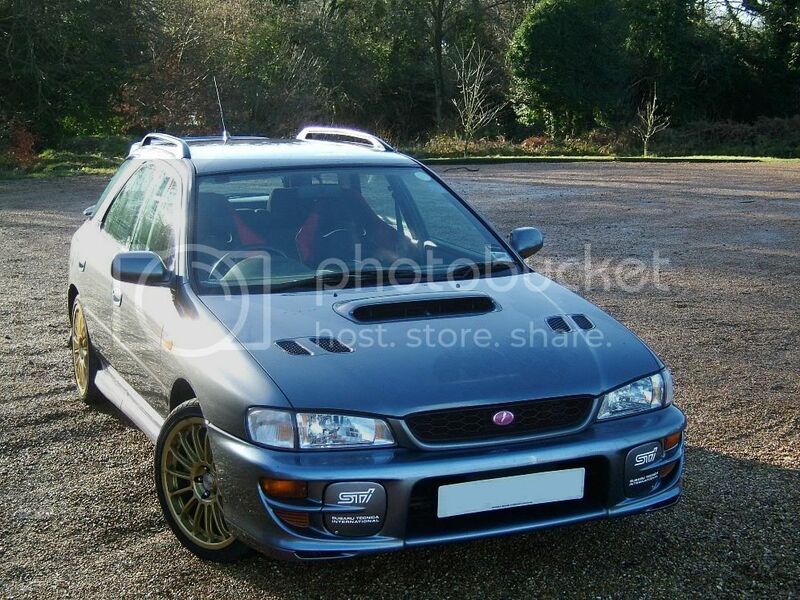 the v7 is the last sti wagon to be made, with no more being produced, so it makes it a bit special. i would like to know if there are any other v7 wagons out there, as this one took me hundreds of hours to track down, and i dont know of another in the country. i dont have the capability on my comp to post pictures, but i do have a camera phone so i can take some on that, but how do i get them on here, as i would love to share them with you all, cheers webby. Last edited by MattPiece; 10 January 2005 at 11:21 AM. Reason: Addition of pics! how do i get a picture on my computer used to belong to fred flintstone,and ive only got a camera phone,heeeeelp. Thanks for the interest in this one, a lot more than the few classic examples I expected. Keep them wagons a'comin!